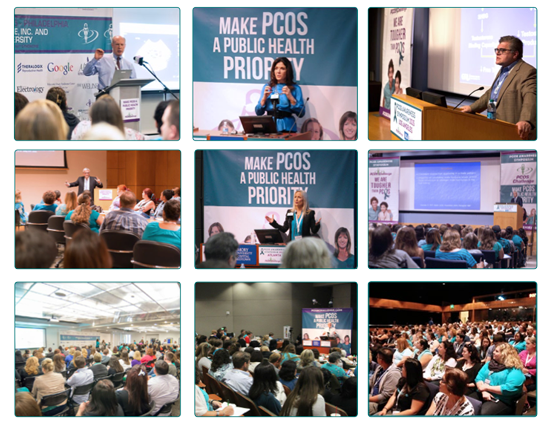 The 2018 PCOS Awareness Symposium Program Committee (“Program Committee”) welcomes your abstracts for talks and panel presentations. The submission period is December 1, 2017 – January 28, 2019. All submissions should be made online, using the form below. March 29, 2018 of your presentation date and time. PCOS Challenge requires that all presentations be noncommercial in a nature and devoid of any specific brand mentions. PCOS Challenge also requires everyone who is in a position to control the content of a PCOS Challenge CME or non-CME educational activity (including faculty, planners, reviewers, speakers, moderators, and staff), disclose all relevant financial relationships with any commercial interest. This pertains to relationships with pharmaceutical companies, biomedical device manufacturers or other corporations whose products or services are related to the subject matter of the presentation topic. The Accreditation Council for Continuing Medical Education (ACCME) defines “relevant financial relationships” as financial relationships in any amount occurring within the past 12 months that create a conflict of interest. ACCME considers relationships of the person involved in the CME activity to include financial relationships of a spouse or partner. COI information is obtained through a standard COI form and is disclosed to learners prior to an educational activity. COI disclosure forms are analyzed by the Program Committee and a mechanism to resolve reported conflicts is implemented. Have your talk video recorded. Distribute your slides and the video recording of your talk to our members. Make the video recording of your talk available through the PCOS Challenge paid membership site.